At SpeedPro Imaging Addison, we have more than a decade of experience assisting businesses with their visual communication efforts throughout the areas of Dallas, Fort Worth and Frisco. With more than 6.4 million people living in this area, there are plenty of opportunities to assert your brand and gain attention. 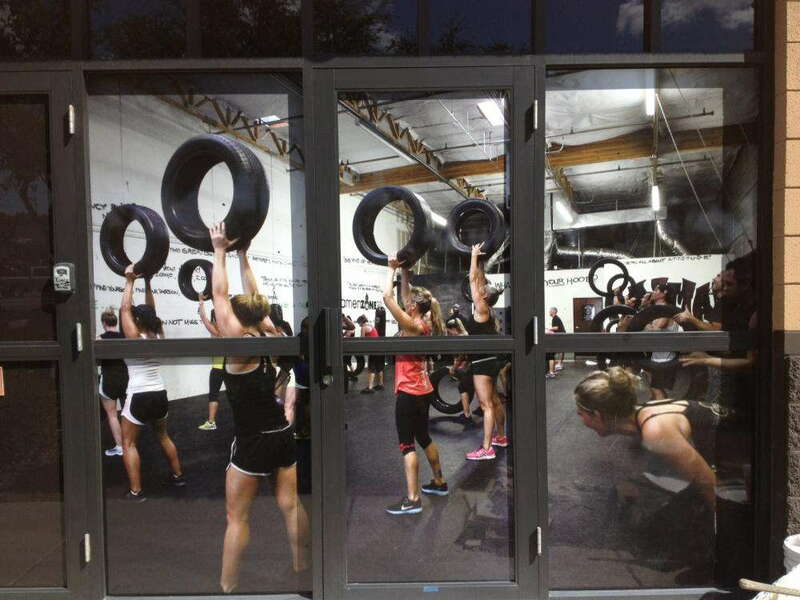 One way to do so is through business window graphics, and we’ll gladly assist you! Our state-of-the-art printing technology and industry-leading materials leave no request out of the question. We’ll combine our resources with our expertise to produce graphics with no equal. 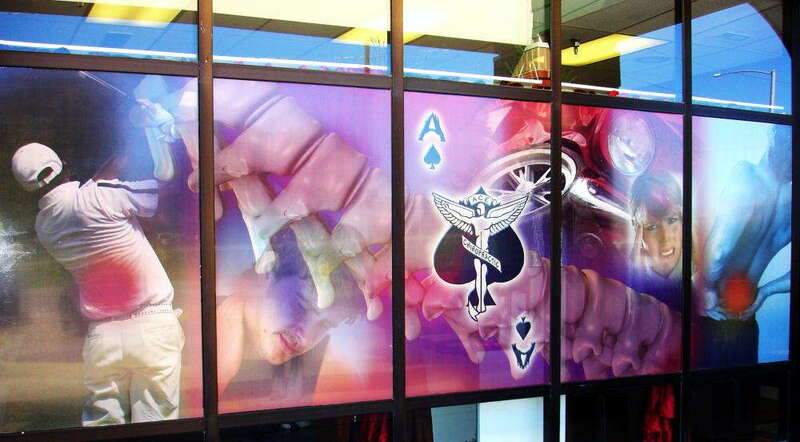 The greatness in custom window graphics lies in their versatility. Whether you need business window displays that transmit a bold message to people on the street or graphics that add another dimension to your office space, we’ve got you covered. We have the product catalog to make any possibility a reality, and we’ll show you all the options so that you don’t need to stress. After we consult to learn the specifications of your project, we’ll carefully analyze all the details to recommend the ideal options for your business. 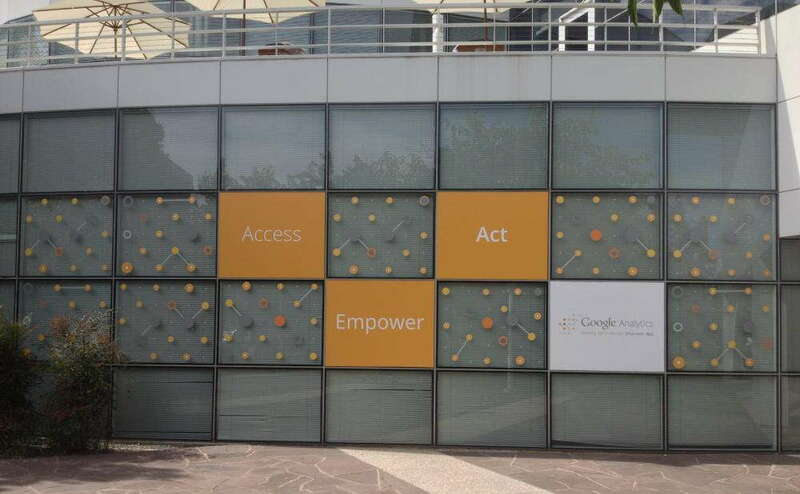 ● Frosted or image window graphics: These graphics can make for a colorful branding element or add privacy to the glass doors and walls of your office space. You can choose from two types of vinyl: calendar or cast. The designs and coverings you decide on can be finished in matte, gloss, etched, frosted, dusted or clear. Depending on the print, we can create straight or contour cuts. ● Window perforated film: Use our assortment of perforated films to create striking business window displays. On the outside, you’ll have solid, high-resolution images that simultaneously reduce light exposure and increase privacy inside. Depending on the level of transparency that you’re aiming for, you can choose 50/50, 60/40, 65/35 and 70/30 vinyl-to-hole ratios. These graphics can be finished in matte or gloss. ● Window clings: Often smaller and temporary to promote events and sales, these graphics can be applied to windows and other surfaces through static cling or adhesive. You can place them on the exterior (first surface) or interior (second surface) of the glass, and they can be single- or double-sided. When you believe it’s time to revamp your business window graphics, give us a call to schedule your consultation. In case you want to visit our studio in person, we’re located on West Beltwood Parkway, near the corner of Midway Road and Belt Line Road in Dallas.